Healthwatch Croydon, the recently established independent health and social care watchdog in the borough, is pressing for an urgent meeting with the Virgin Care subsidiary which runs the Urgent Care Centre at Mayday Hospital, following serious concerns expressed over its performance in the Care Quality Commission’s report published today. 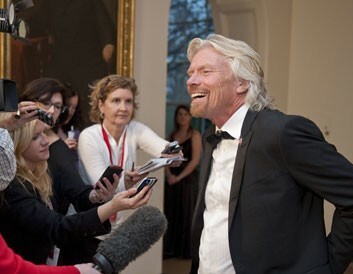 So, “Dr” Branson… pilot, train driver or medical professional – is there nothing that Sir Richard cannot do? Other observers suggest that the CQC’s Croydon report is the first to demonstrate that this government’s privatisation of the NHS is failing patients. Dr Eoin Clarke, the outspoken NHS campaigner, described the CQC’s report overall as “grim, and sad, reading”. Clarke told Inside Croydon: “There are very serious concerns in the report about the way having two separate providers between Urgent Care and Accident and Emergency works. The CQC report into Mayday (aka “Croydon University Hospital”) was published overnight and followed the first batch of urgent inspections into some of the worst performing hospitals in England and Wales. The report made several recommendations, many of which centred on serious under-staffing, and the problems the hospital has had in recruiting properly trained doctors and nurses, particularly in the A&E department, which is run by the NHS Trust. But the CQC inspectors repeatedly referred to a disconnect between the hospital’s A&E department and the privatised Urgent Care Centre, and a failure to provide consistently “safe care”: “We had serious concerns about A&E and the way in which patients move between the Urgent Care Centre (UCC), which sees people when they first arrive, and the hospital,” the report states on its first page. Because the UCC has been privatised, it was not due to be part of the main CQC inspection. But when the panel saw what was happening between UCC and Mayday’s A&E, they ordered an immediate inspection of the Urgent Care Centre: “We saw a summary of two serious incidents where patients waiting more than 20 minutes may have contributed to their deterioration,” the CQC report states, worryingly. “Most of the staff we talked to said that this provision of care for adults is not safe. The Department of Health’s national target for A&E is that 95 per cent of people should be seen and treated within four hours. “The trust had largely been achieving this target from May 2013 and through the summer – but not in the previous five months,” the CQC inspectors found. A subsidiary of the Virgin Care private healthcare company started a £6 million, three-year contract in Croydon in April 2012. Within months, Mayday Hospital was given two formal warnings from the CQC for its standard of care for patients. At that time, Virgin denied that these warnings were as a consequence of the way it was running the UCC. The crying shame in all this, as the NHS is dismantled piecemeal for the benefit of private profit and political dogma, is that when Virgin Care took over the running of urgent care in Croydon, the service was performing better than at any time before, meeting most major A&E targets, including the 95 per cent emergency benchmark. In a report on Mayday published in October 2012, issues that are familiar with other outsourced public services – of understaffing, and of an over-reliance on temporary staff – were observed under Virgin Care, the CQC reporting then that eight posts were unfilled in the Croydon’s Urgent Care Centre. Virgin – a brand more usually associated with broadband, planes, trains and record shops – was subject to a C4 Dispatches investigation 12 months ago which portrayed the company as bidding with aggressively low quotes to win contracts, under-cutting bid prices for NHS services, but then struggling to meet previous standards of service. At the time, Virgin Care responded by claiming the television programme was “misleading and defamatory” and said that they had “improved the NHS services it delivers and saved millions of pounds for the NHS”. Today’s latest, in-depth CQC report into services at Mayday will have done nothing to re-assure the public that the break-up of NHS services is working at their local hospital. 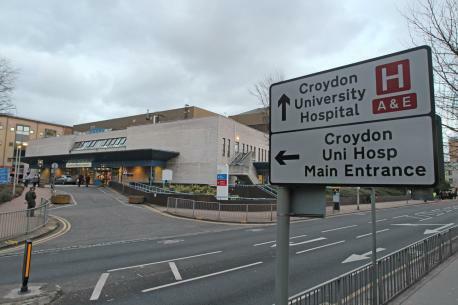 Mark Justice, the chair of the recently established watchdog Healthwatch Croydon, said, “It causes us concern that more and more people are voting with their feet not to use Croydon University Hospital but to go elsewhere. Responding to the CQC report, Justice says that many of the short-comings of Mayday’s A&E and Urgent Care Centre may be the result of the demographics of the area around the hospital, and that much improved GP services would deal with many of the patients who currently present at the UCC. Justice notes that there are 176 care homes in Croydon – the highest density in London. As a result, Justice says, Croydon “is an importer of older people”. “The hospital has always had one hand tied behind its back,” Justice said. Under-funding and systemic budget problems at Mayday have deterred staff from taking jobs at the hospital, leading to the staffing issues referred to throughout the CQC report. “Other hospitals in the area have become specialist hospitals, for strokes, cancer, etc. CUH is not a specialist in anything just a hospital that is in truth a very large ‘cottage type hospital’. “We believe that you cannot look at one area without looking at the wider remit. Work obviously needs to be done around the issues raised within the CQC report, but also why are an increasing number of people not registered with a GP? Why are we using the expensive A&E services, rather than pharmacy services? When will the GP services in Croydon be no longer in the bottom 10 per cent of the ability to see them? This entry was posted in Care Homes, Health, Healthwatch Croydon, Mayday Hospital and tagged Care Quality Commission, CQC, Croydon University Hospital, Mark Justice, NHS, NHS trust, Urgent Care, Virgin Care. Bookmark the permalink. May I commend Mark Justice and his colleagues for their prompt and positive approach to the CQC report: this is transparency in action. The CQC raises concerns about the interaction between A&E and Virgin Healthcare: Croydon Healthwatch follows up those concerns immediately. Mark is right; we do need a totally new hospital in Croydon. And it doesn’t much matter to me who builds it. Horror stories about hospitals with unsustainable maintenance costs – the £100 light-bulb change – have more to do with inept public service negotiators than any fiendish plan to privatise the NHS. Would it be so terrible if the private-sector, even Sir Richard Branson, built and ran a district general hospital in Croydon? Look at the pigs’ breakfast the public sector has so far made of it. Following the founding of the National Health Service in 1948, Mayday Road Hospital was left as it was for decades because a succession of health ministers were apparently looking for a green-field site (rumoured to be on the Purley Way) to build a new hospital. Eventually policy changed and Croydon was to have a new 1,000-bed hospital built on the present site: the work would be done in three phases, starting with a London Wing. By the time the wing was built policy had changed again (surprise, surprise!) and the money for phases 2 and 3 had been allocated elsewhere. Instead the NHS tarted up the original 19th century Workhouse Infirmary buildings; the pavilions facing Woodcroft Road, which are still in use today. Much later the NHS found the money to build the Jubilee Wing and in the meantime it provided a series of single-storey shacks and other temporary buildings, including those currently used to house inadequately the much-criticised A&E. The London Wing is not the best example of public-sector design and construction: it is therefore expensive to maintain, as are the acres of single-storey corridors that link the hotchpotch of buildings now sprawled across the site. The more the hospital has to spend on maintenance the less it has available for staff, so salary bills are kept down to save money, leading to pressure on overworked doctors and nurses, resulting in poor quality care. The public purse cannot afford a new hospital, but there is plenty of money swilling around in the private sector. Yes; a developer will want to make a profit; it won’t build and equip a new hospital as a philanthropic gesture. So we need to be more businesslike in our negotiations to make sure we always get value for money. If the developer is prepared to employ a highly-paid, silver-tongued, specialist negotiator to do the best deal, the health authority should do exactly the same. And if we commission a private provider to manage the hospital – cutting out layers of highly-paid and slow-moving regional and national civil servants – we must ensure that its work is properly inspected and held to the highest standards: that’s the job of the new-look CQC. Instead of fantasising about Britain having the finest health service in the world, we should look at the way our near neighbours in continental Europe arrange things; the Germans and the Scandinavians have a lot to teach us, as have the French (Mon Dieu!). Croydon could be the first to embark on a new era of quality health service provision; a genuine public/private partnership from which everyone benefits. Or would you rather throw up another hut?